MOTIVATED SELLER!! Stunning Custom Residence in an Amazing Private Location! Large windows grace the home with warmth and sunlight and the living room features a cozy wood burning stove. Recent upgrades include new stainless steel appliances, new tile flooring, and a new metal roof. Upstairs find a full bath and two generously sized bedrooms, one of which includes a private dressing area. The large ground level bedroom has a private entrance and additional wood stove. 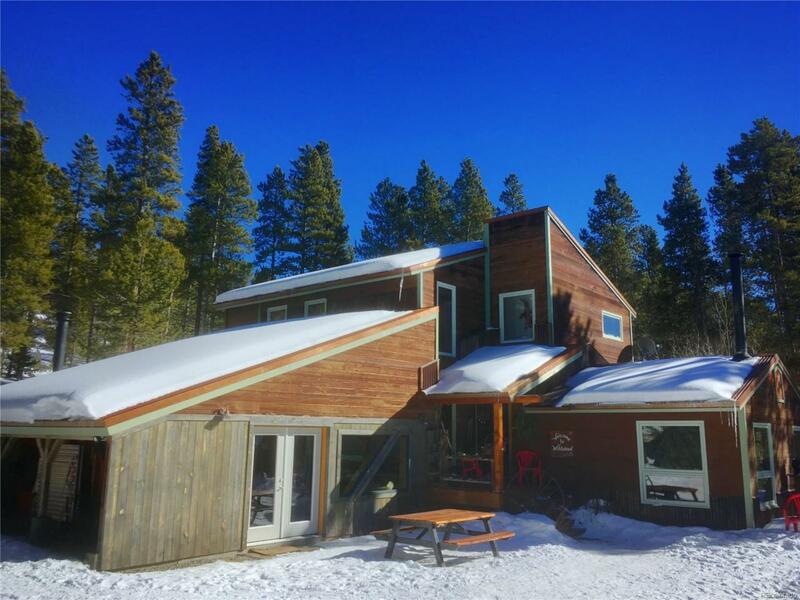 This home embodies the peace, quiet, and cozy rustic elegance of a true Rocky Mountain dream home, perfect year round or as a vacation getaway! Only two miles east of historic main street, enjoy over 10 acres of secluded mountain landscape, including a beautiful stream attracting wildlife you can watch from your patio. Bask in the incredible views, hiking, skiing, and other recreation available right from your front door! The best part: zoning protects your privacy for the future!